There are several Sunday School Small Groups Classes that are available to serve you. Please feel free to come explore or call the church office 580-921-3329, for additional information. 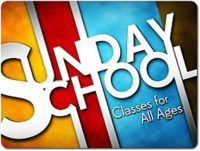 Sunday school begins at 10:00 am each Sunday. Please call the church for more information about individual groups. (580) 921-3329.